Google introduce another service is Google Body Browser. 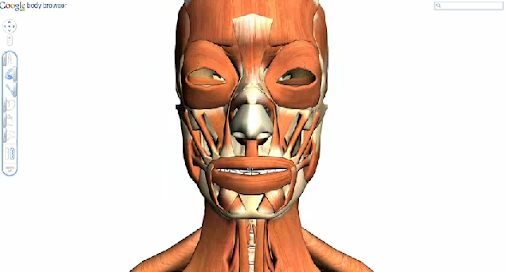 Google said in an introduction, “Body Browser is a detailed 3D model of the human body”. It is a three-dimensional, multi-layered browser version of those Visible Man/Woman model kits. It lets you peel back anatomical layers, zoom in, and navigate to parts. You can also click to identify anatomy, or search for muscles, organs, bones, and more.